A friend also, author Sunny Frazier has a new release. This is the third novel in her Christy Bristol Astrology Mystery series. 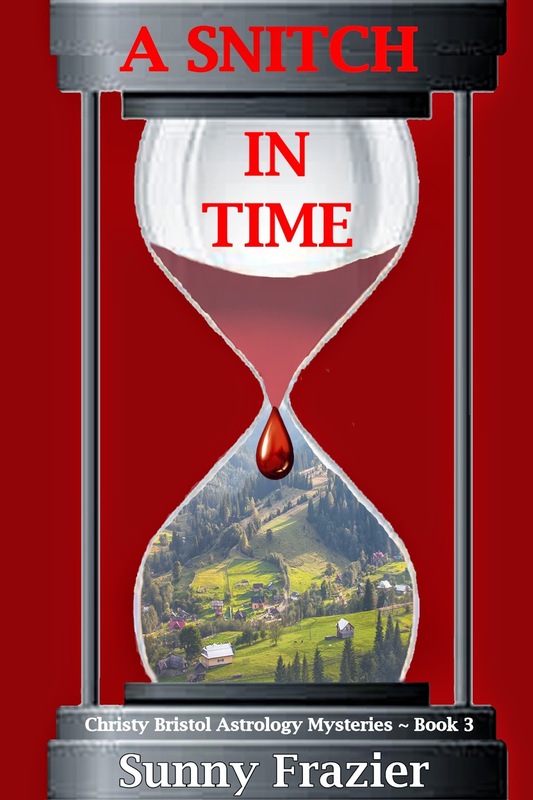 A Snitch in Time is published by Black Opal Books. Besides her own authorship, Sunny heads up a group of writers and authors called “the Posse” which helps all of us fight the numbers, hone marketing skills, make connections, and increase our knowledge of this endeavor as a business. As a mentor for the art we do, she is a tireless cheerleader for many of us striving to write better and promote better. This entry was posted in promotions, Uncategorized, writing and tagged agent, Art, author, blogging, California, commerce, courts, crime novel, daily blogging, ebooks, economics, editor, inspiration, marketing, media, novel, plots, problems, promotion, regional topics, sales, Story, writers, writing by timdesmondblog. Bookmark the permalink.